Much of the proposed sanctuary coastline is dominated by rocky intertidal zones lush with large and signiﬁcant kelp forests. Other portions of the coastline are sandy beaches with vast open vistas. Kelp generally requires rocky hard-bottom for attachment and growth, but physical factors such as light availability and amount and type of rocky substrata affect the range of each species. In this environment, kelp, fed by the rich nutrient broth carried by upwellings and their associated currents, can grow 10 inches or more a day, forming a lush underwater habitat. While we only see the top of the kelp forest ﬂoating on the water’s surface, kelp canopies can reach depths of 200 feet. Different types of kelp and algae form under-stories which provide numerous benthic (bottom communities), mid-water, and surface habitats, nursery areas, protective covers and food items important for invertebrates, ﬁshes, and sea mammals. Seabirds roost and maintain rookeries on large exposed rocks close by or within the forests. Several endangered marine mammals, sea otters, northern elephant seals, harbor seals, and sea lions inhabit these areas and haul out on the rocks. Gray and humpback whales feed nearshore. Approximately 300 algae species are present. Rocky intertidal areas host an assortment of invertebrates and ﬁsh. Species such as blue rockﬁsh and abalone use cracks and crevices for protection against predators and for breeding. The kelp forests south of Point Conception are under stress. Some disappeared for a number of years before regrowing. Others are greatly stressed by an over abundance of kelp grazing sea urchins that no longer are threatened by predators. Even the Channel Islands kelp forests are impacted by pollution carried by the Southern California Bite Circulation System. 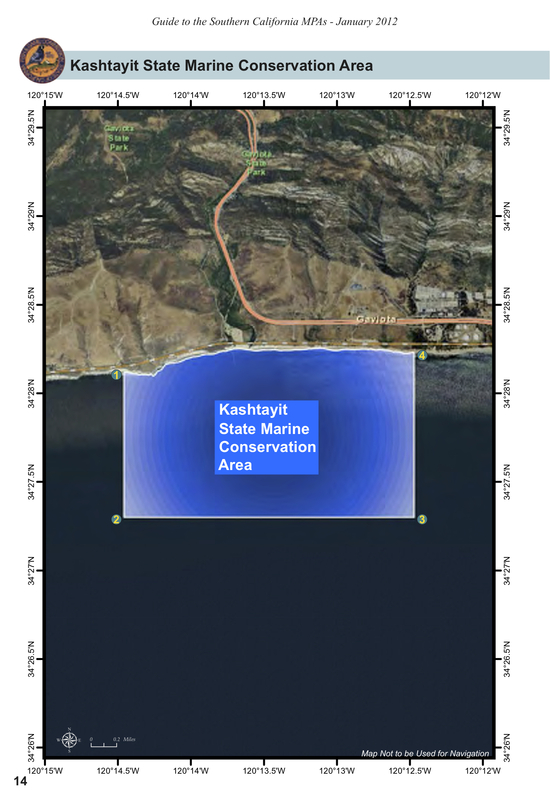 Such stress and impacts on these kelp forests greatly increases the international importance of the unprotected kelp forests between Gaviota Creek and Santa Rosa Creek. Despite over ﬁfty years of research, the complex dynamics of California kelp forests are not fully understood. The least understood dynamic is that of the nutrient cycle associated with nutrient-rich upwelling waters, seasonal or persistent. The food web is another dynamic needing greater study. Thirdly, the dynamic of kelp forest health and its foragers, the kelp eaters, and their predators is not fully understood. Lastly, winter storms break off the top canopy of the forests, carrying kelp either to the beach or into deeper waters. Exported kelp, slowly moving across the bottom into deeper zones, creates rich habitat for a variety of life forms not yet thoroughly investigated. Ecosystem effects of the drift exceed that of a terrestrial forest because of uses for the kelp far beyond the forest. 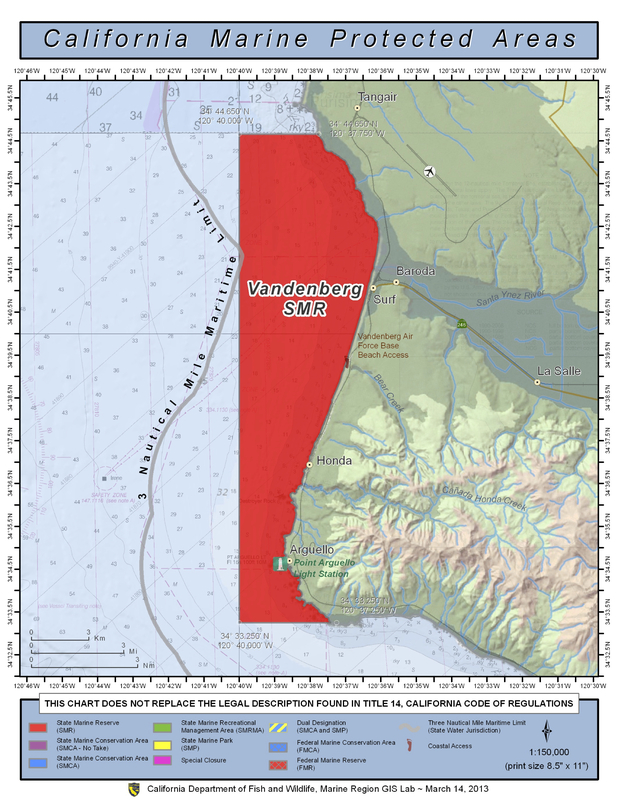 Marine Sanctuary protection status would set the stage for needed research efforts. For more detailed information, see Chapter 8 Diversity and Dynamics of California Subtidal Kelp Forests by M. Graham. The permanent upwelling ﬂowing up the Arguello Canyon provides nutrients for the abundant biota found in Area Two, located south of Point Conception to Purisima Point Sal. 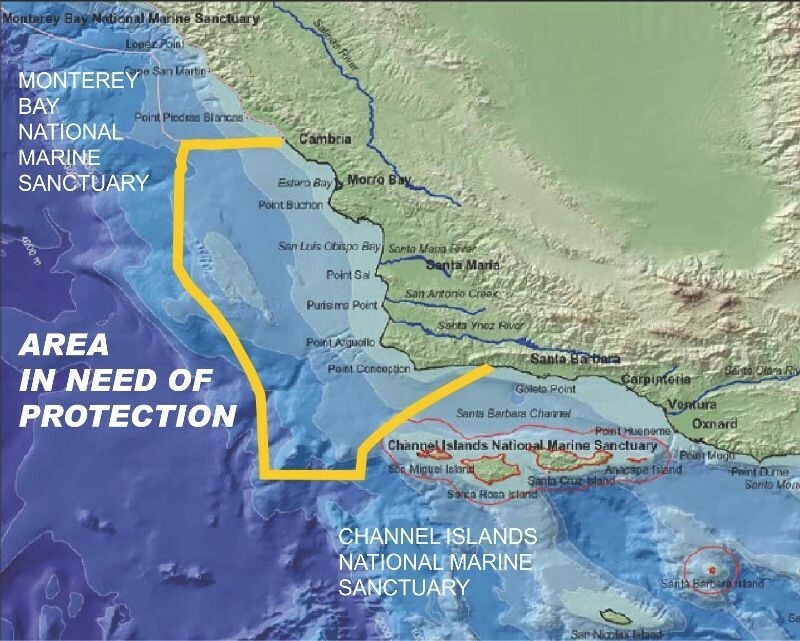 The richness of Area Two and the nearshore Areas to the north provide a rich diverse marine diet for the Chumash who occupied the region at least 20,000 years. The Gaviota State Park and Jalama County Beach yearly draw thousands of visitors and campers who enjoy surﬁng, ﬁshing, and beach combing and their beautiful vistas and long sandy beaches and rocky intertidal areas. It is also is the site of a Chumash village. 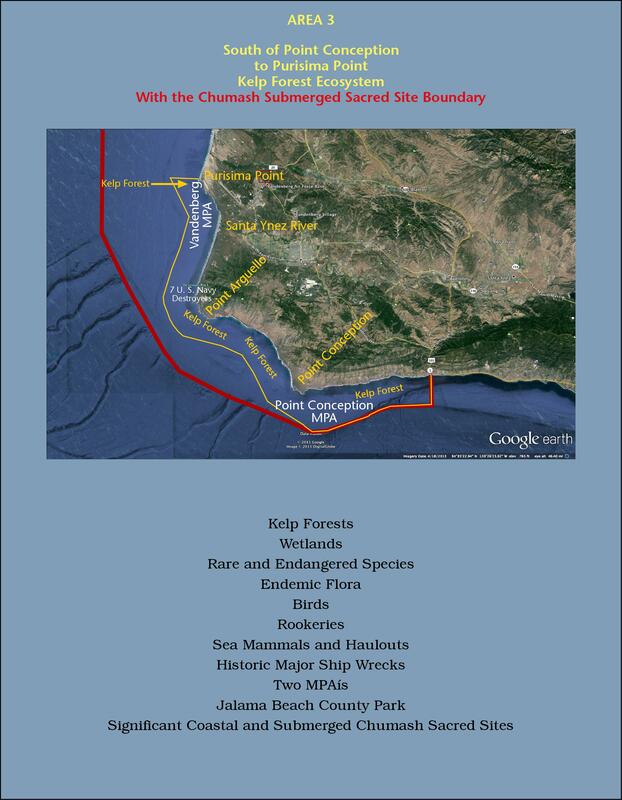 Point Conception is an extremely important Chumash spiritual site. 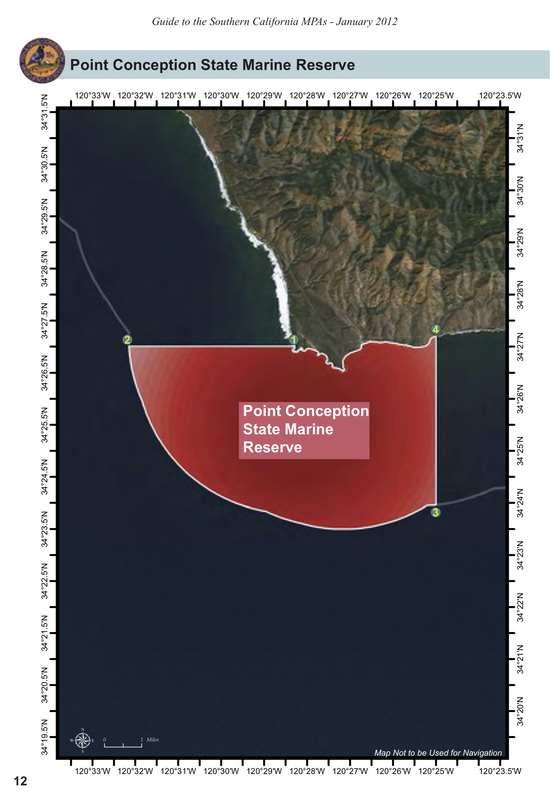 Other signiﬁcant Chumash sites are associated with the ocean ecology are found in the adjacent coastal terrain. North, and outside Area 2 Surf Beach draws many visitors,such as surf recreational ﬁshers, surfers, beach combers and swimmers. Arguello Point is the site of several historic ship wrecks. Two miles north of Point Arguello at Point Honda, seven US Navy destroyers sank in 1923. It the country’s worst navigational tragedy. Many other shipwrecks are known within the nearshore waters.